Looking for a fun family holiday activity that will engage kids of all ages and provide great gifts and tasty treats for your family? Let me suggest baking with your kids. Kids of all ages love the hands-on active, creative work that goes into baking and you can start with toddlers as young as 18 months old. 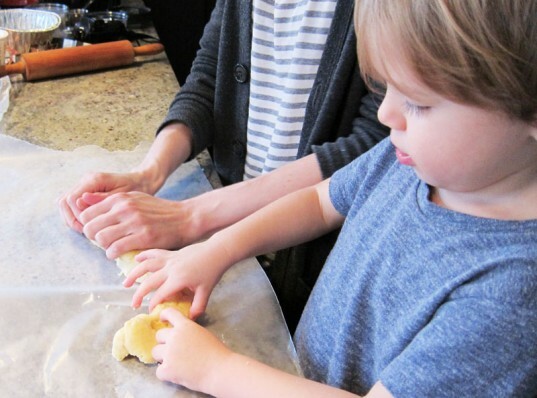 You'll need some patience and time to bake with a toddler, but it's such a great learning activity that young kids can really grasp and really enjoy. 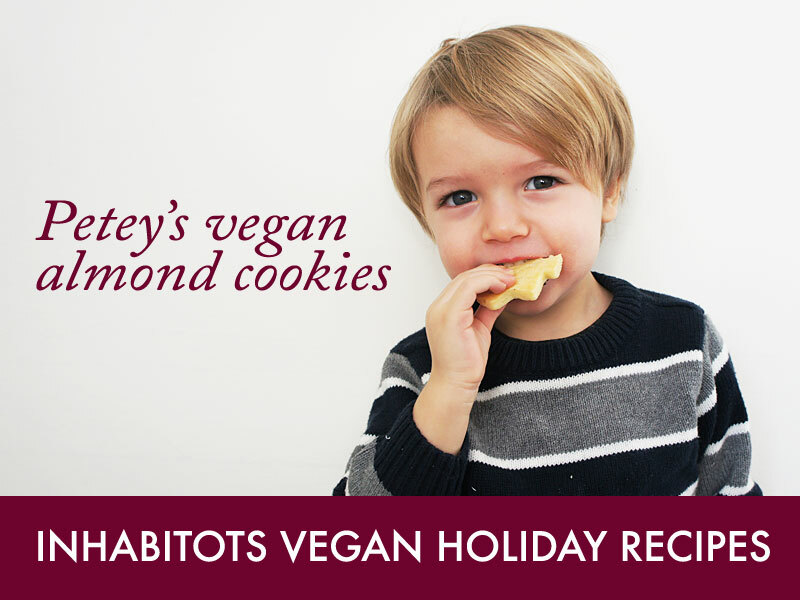 My son Petey (above) loves to bake (and eat his creations naturally), and since we're a vegan household, I've adapted some of my mother's passed-down cookie recipes to suit our vegan lifestyle. This almond butter cookie recipe is a sure fire winner because it's extremely simple and exceeding delicious. It only requires 5 ingredients and provides ample opportunity for the down and dirty elements of toddler baking: smushing, kneading and rolling dough, and decorating. This recipe makes about 3 dozen cookies, and - be warned - they will all be devoured within hours. Cream faux butter and sugar together. Add salt, almond extract, flour and water. Mix until doughy and smooth. Add a little water if needed until the dough sticks together. 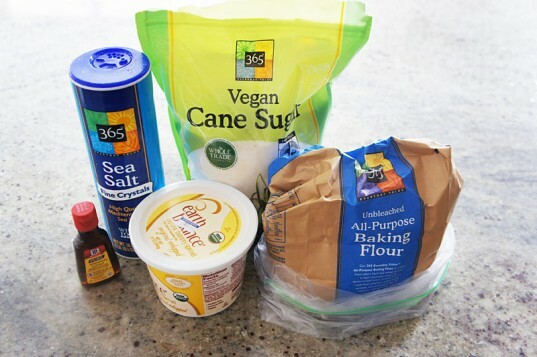 Form dough into a loaf, wrap or cover and chill for 2 hours or more in the refrigerator. Grease your cookie pan with the faux butter. Form dough into 1-inch balls, and press to flatten. Then make a thumbprint in the center. You can then fill thumbprints with an almond, a cranberry or some jam. 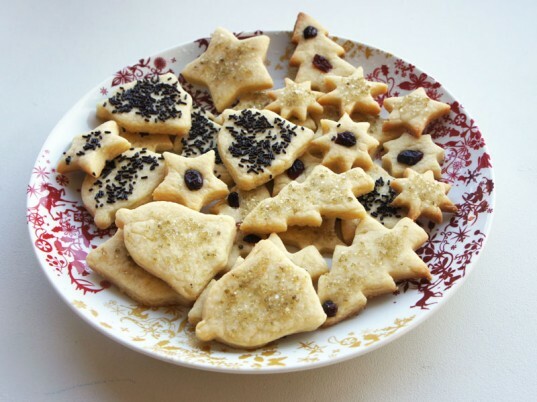 If you prefer, roll the dough flat and cut into shapes using cookie cutters. Then decorate however you like. 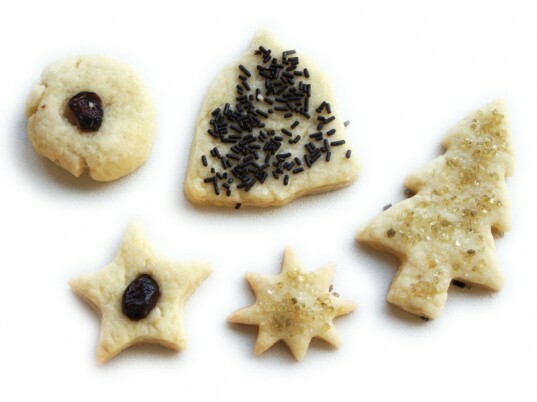 Remove from oven before the cookies harden or start to brown (they will continue to cook after you remove from the oven). Where is the word ORGANIC on the ingredient packages? Thank You for including ORGANIC in the recipe! Here's what the yummy cookies will look like when they're done! 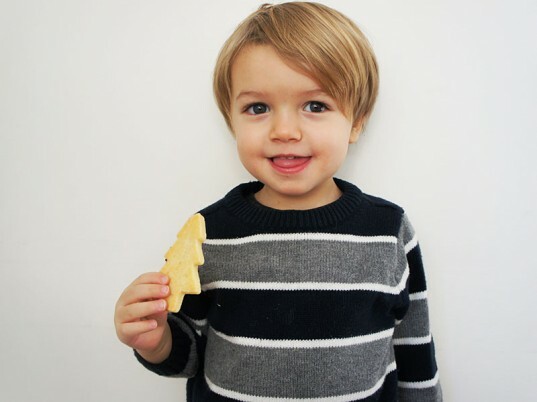 Petey enjoying his organic vegan almond Christmas cookies.